On Thursday, January 17th the Ministry of Training, Colleges and Universities announced changes to Ontario’s tuition framework, the Ontario Student Assistance Program (OSAP), and institutions’ ancillary fees. While this Ministry expressed that these changes would improve the affordability of post-secondary education it will in fact make it more expensive for the average student. The provincial government rolled back a lot of the previous changes, including removing the 30% Off Tuition grant as well as decreasing the amount of grants available to students while increasing the number of loans. They also increased parental expected contributions to students’ education. The government announced universities must make an opt-out option for non-essential non-tuition by the 2019-2020 academic year. It is uncertain which fees exactly this encompasses. Essential fees are considered “fees used to fund major, campus-wide services and facilities or fees which contribute to the health and safety of students.” However, optional fees may include the fees paid by students to the McMaster Students Union. What has been done thus far to resist these changes? 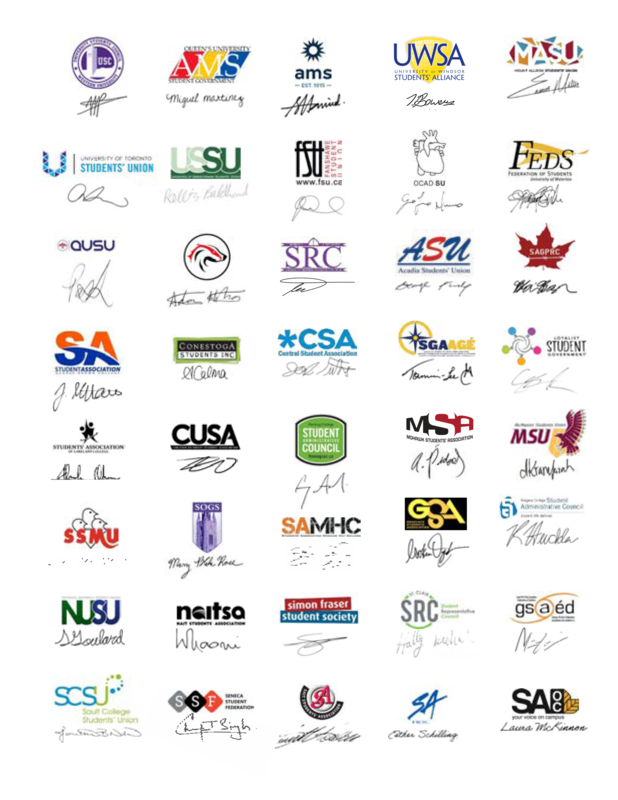 In addition to the extensive advocacy work and dialogue with the Ministry of Training, Colleges and Universities, other government officials, opposition members, University partners and media outlets, the MSU arranged for approximately 150 McMaster students to join a province wide protest of these cuts on January 25 at Queen's Park. 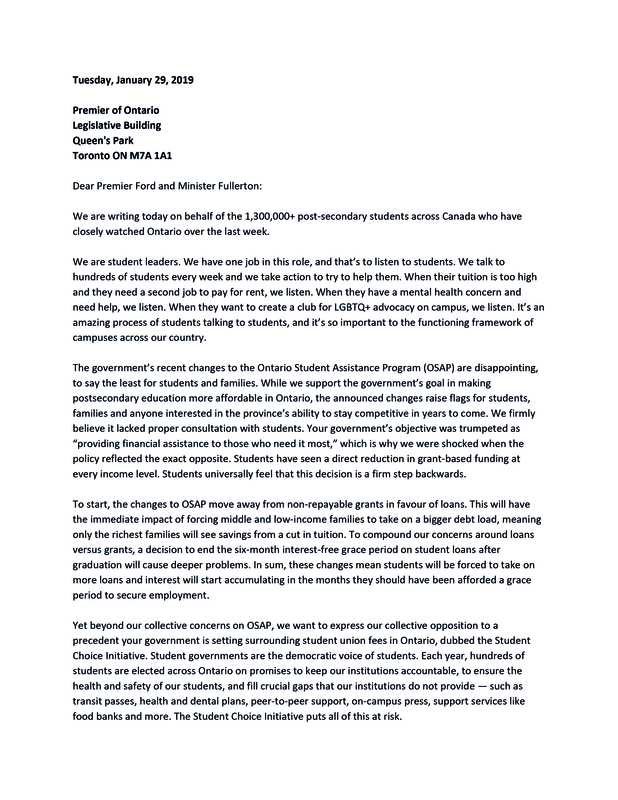 Students are still awaiting technical briefings for details regarding the provincial government announcement - but we need the government to recognize that this initiative will set a dangerous precedent, negatively impact students and their families, and that it lacked proper consultation from those groups it will affect the most. Students are encouraged to write to the government about their concerns. The most powerful messages are personal stories and opinions. Personal letters are much more effective compared to template letters. For that reason, students are encouraged to craft personal messages and send them to the contacts provided below. To whom should I send my email? Copy MPP Sandy Shaw (SShaw-CO@ndp.on.ca) who represents the riding in which McMaster is located. What should I mention in my email? How the reduced amount of OSAP will impact you and your family both next year and in the future. This can include: having to work more hours which may impact your academics, how the increased debt will cause you to not be able to progress to certain life milestones such as purchasing a house, or increased financial stress on your parents preventing them from saving for retirement. the HSR transit pass - As of Febuary 1st, Minister Fullerton announced that transit passes would be considered an essential service after hearing from students. It is best to focus on the points below as we continue our advocacy efforts. What else can be done? Sign the petition! 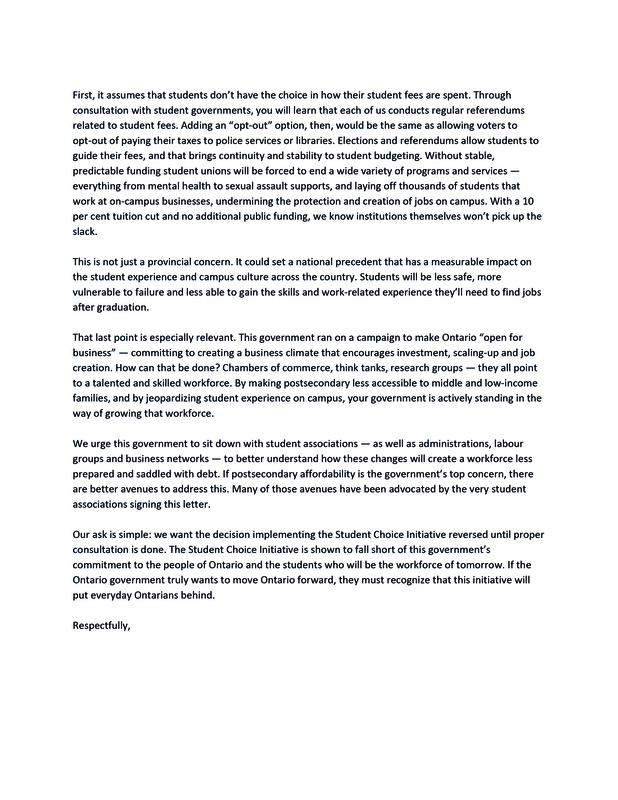 Chris Glover, MPP (Spadina-Fort York) and NDP Critic of Training, Colleges and Univeristies has launched a petition. A digital verion can be found here, while physical copies are available in MUSC 201. 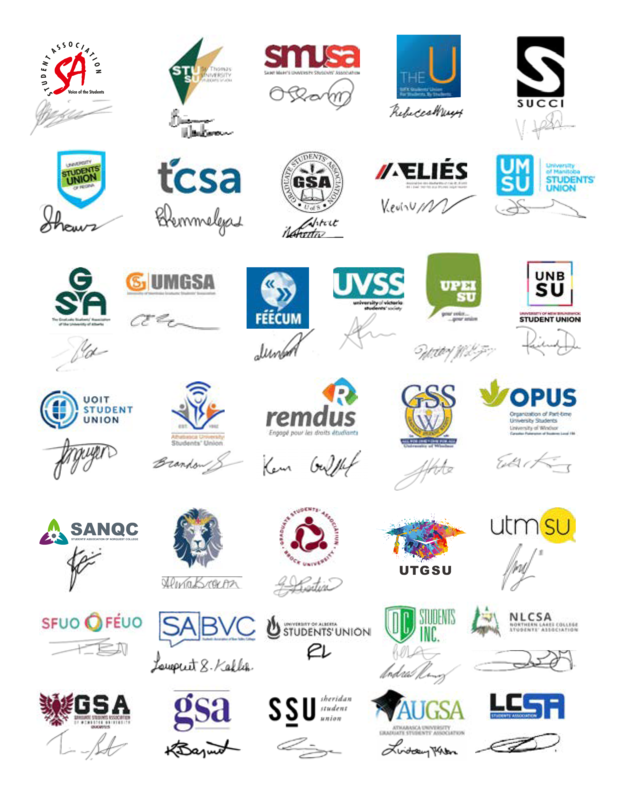 More than 75 student associations, representing over 1 million students signed a joint letter to voice the collective opposition to the recent government announcement. Download the original letter here.